If you are new to the Portland, Oregon area or have been a long time resident it is always fun to explore the beautiful city. The city is divided into four quadrants, Northwest, Southwest, Northeast and Southeast. There is also what is known as the fifth quadrant, North Portland. Peaks and Pints knows it doesn’t make sense to have five quadrants. It’s probably, part of the keep Portland weird movement. The division of the quadrants is easy to distinguish. Burnside is the street that divides North and South and the beautiful Willamette River divides East and West. North Portland is where the Willamette turns west and runs into the Columbia River and it creates a pie shaped area. North Portland — including Northeast and Northwest — is home to many a craft brewery. Today, Peaks and Pints salutes North Portland with a beer flight we call Craft Beer Crosscut 11.27.18: A Flight of North Portland Breweries. Breakside Brewery selected 13 casks from its wood cellar, with the goal of producing a Brett-forward beer with vivid herbal undertones. The majority of the barrels contained a spontaneously-fermented wheat beer that spent its entire “life cycle” in wood with the remainder former gin and Pinot Noir casks — many that have been in the Portland brewery’s barrel program for more than 5 years. The result is quite complex, with white wine barrels, oak, some acidity and tart stone fruits. Upright Brewing owner and Brewmaster Alex Ganum opened his brewery in the basement of Portland’s Leftbank building in 2009. Since then, Upright has made a name for itself brewing Belgian-style saisons as well as pushing outside the boundaries of what a standard Pacific Northwest beer tastes like. Fatali Four is a blend of the brewery’s barrel aged Four saison with fresh homegrown fatali chiles added for a couple months before bottling. It also incorporates light use of Brettanomyces yeasts providing a contrasting earthy backdrop for the bright chile flavors. Bière de Garde, which means “beer which has been kept or lagered,” is a traditional artisanal farmhouse ale from Northern France brewed in early spring and kept in cold cellars for consumption in warmer weather. 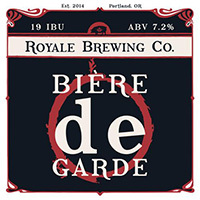 Related to the Belgian saison style, the main difference is that the Bière de Garde is rounder, richer, sweeter, malt-focused, often has a “cellar” character and lacks the spicing and tartness of a saison. Royale Brewing’s version is co-fermented with Antwerp Ale and Bohemian Lager yeast with bready, biscuity, raisin and slightly herbal notes. It’s on the dry side. Since opening in 2014, Ex Novo Brewing’s mission is to contribute all — yes, all — of its profits (that don’t get redirected to infrastructure improvements, which is not code for lining any pockets) to its four primary nonprofit partners: Friends of the Children, IJM, Impact NW and MercyCorps. 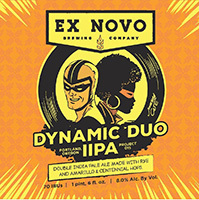 Keep that in mind as you enjoy the Northeast brewery’s Dynamic Duo Project 020, a dual hop IPA series that features Mosaic and Rakau hops for this round. It’s dry and tropical with a nice stone fruit aroma. Oort? 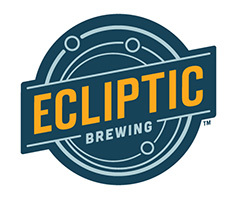 If you know anything about Ecliptic Brewing founder John Harris, you know in addition to creating many of Deschutes Brewery’s flagship recipes he is also an astronomy buff. An Oort Cloud is an extended shell of icy objects that exist in the outermost reaches of the solar system. It is named after astronomer Jan Oort, who first theorised its existence. It’s roughly spherical, and is thought to be the origin of most of the long-period comets that have been observed. The Northeast brewery’s Oort is an imperial stout that includes a barrel-aged version, which slumbered for 15 months in 12-year-old bourbon barrels imparting flavors of caramel, cocoa, brown sugar, bourbon and light oak with a smooth dry lingering cocoa bourbon finish.